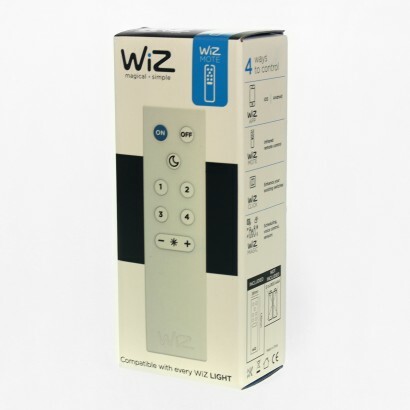 All the WiZ Lighting products can be operated via the free Wiz App, but they can also be operated by this optional Infrared remote, ideal if any household members don't have a smart phone, or for if you have guests. 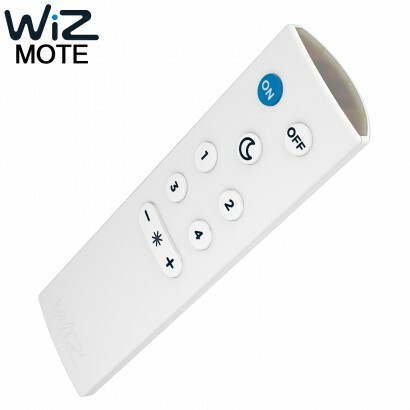 There are four programme buttons so you can select four of your favourite light settings from the remote; use it to dim and brighten the lights, or use the 'Night Light' button which puts all the lights into a low level white light. 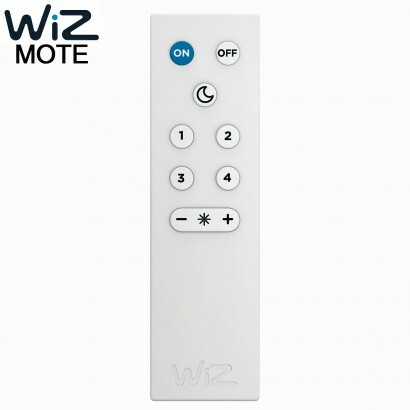 The WiZmote is compatible with all of our Wiz Bulbs, Wizz Table Lights, Wiz Projector, and Wiz Ceiling lights.